I have always been fascinated by our ancestry. What secrets are there hidden in the pages of the past? A fascinating look at our ancestors. Long Crendon is a small village within the parish of Aylesbury Buckinghamshire. Some believe it to be in Oxfordshire, which is a stone's throw away, and I believe at some stage it was centred in Oxfordshire. But over the last hundred years or so it has been in Buckinghamshire. The people who live in and around Long Crendon tend to say, 'I come from Thame'. Which is a couple of miles up the road, and is a big market town. Thame is also in Oxfordshire, hence the confusion. Growing up I always knew my granddad came from Thame. He would say his ancestors were farmers, but that was it. So I started to search for my family history and found something fascinating. 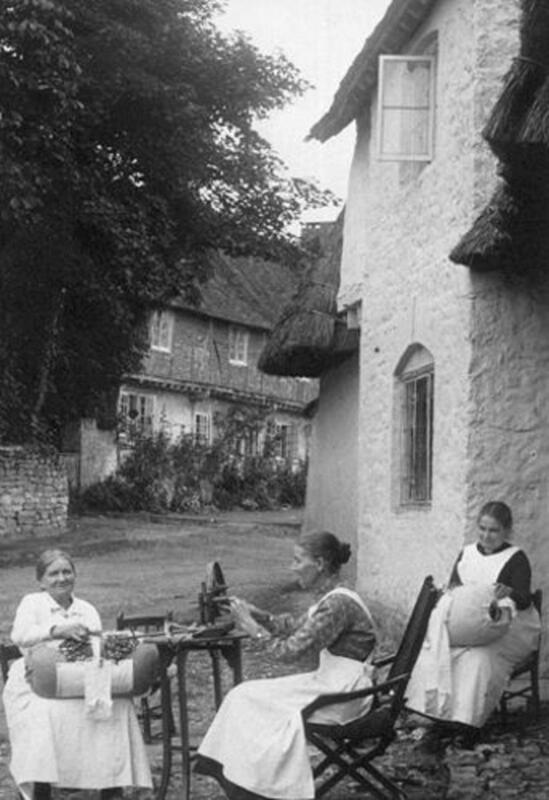 We actually came from Long Crendon, and we were Farmers, Smiths, Lace Makers, and Needle Makers! But that's not all. It turned out that I had opened a can of very interesting worms so to speak! Not only were my family Needle makers, but they all seem to stem from one family, the Shrimptons, and they seem to have taken over the whole of the village for around three hundred years! My granny had a similar book to this one and I would flick through it not knowing what on earth it meant! But its a great start if you are interested in Lace Making. I could not do without it! So who were the Needle Makers? Well to find out, we have to go back to the 1500s. Back then all needles were made from iron wire, with just a loop made at the end for the cotton or silk to go through. They were made by Smiths who made swords, horseshoes and so on. But all across Europe at that time needles were made of steel wire, and were imported in large quantities. Of course, needles were not just used for darning. 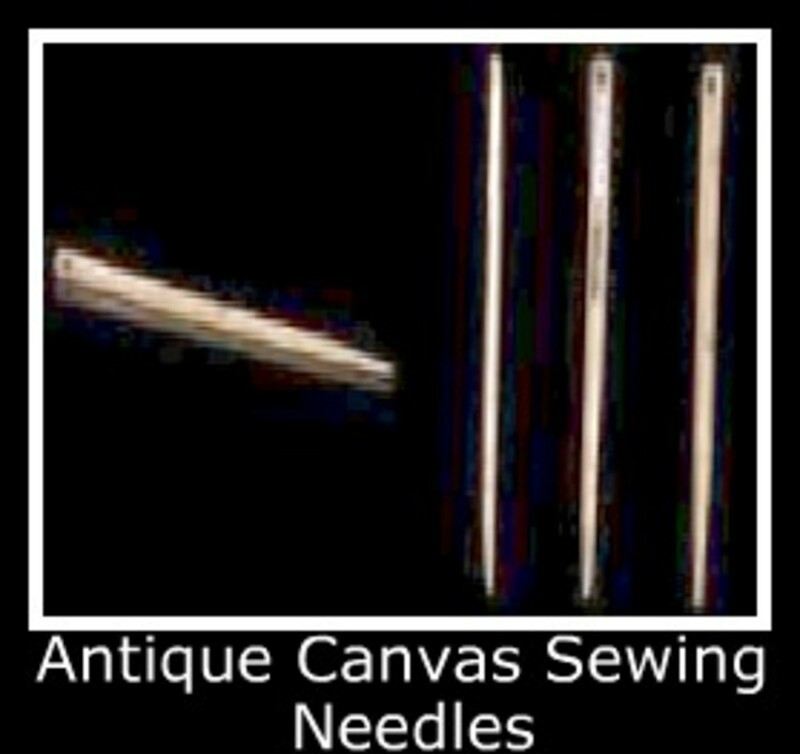 There were various types of needles for a range of jobs or cloth. There were sail needles, made especially for the thick cloth on ships. There were Spanish needles used by Queen Elizabeth 1, and various others too. At that time, there was a lot of religious persecution going on across Europe. Mainly between the Catholics and the Protestants. Back then they were in the middle of the Reformation, which Henry VIII had started, and this had spread to Europe. So many of these immigrants came to England and brought the new trades with them. The first to start the Long Crendon trade in Needles was someone name Christopher Greening, born 1587. Before him, were many 'Myths and Fantasies' which was quoted at the time by anyone who was asked. 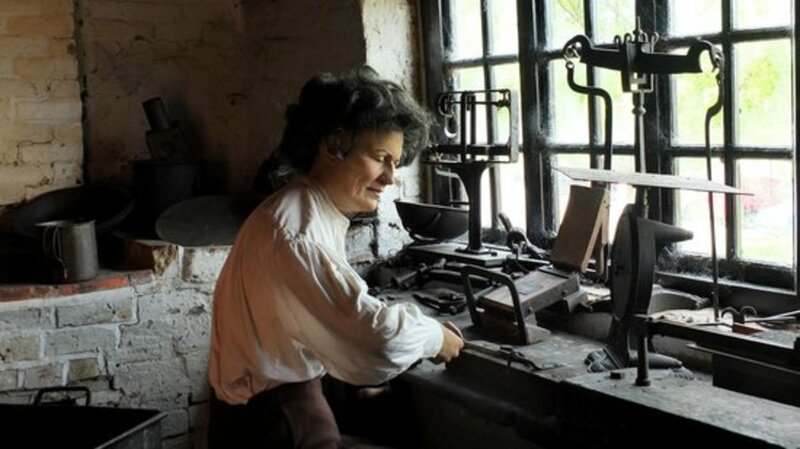 'This man is the first in England who brought needle making'! Christopher Greening the first of the Needlemakers. "This man, the first in England, brought in Needlemaking". In plain English, these were harsh words aimed at the Long Crendon 'Aliens' or 'Immigrants' who, apart from the original immigrants, were actually only from other parts of England, but were 'Foreign' compared to the locals. 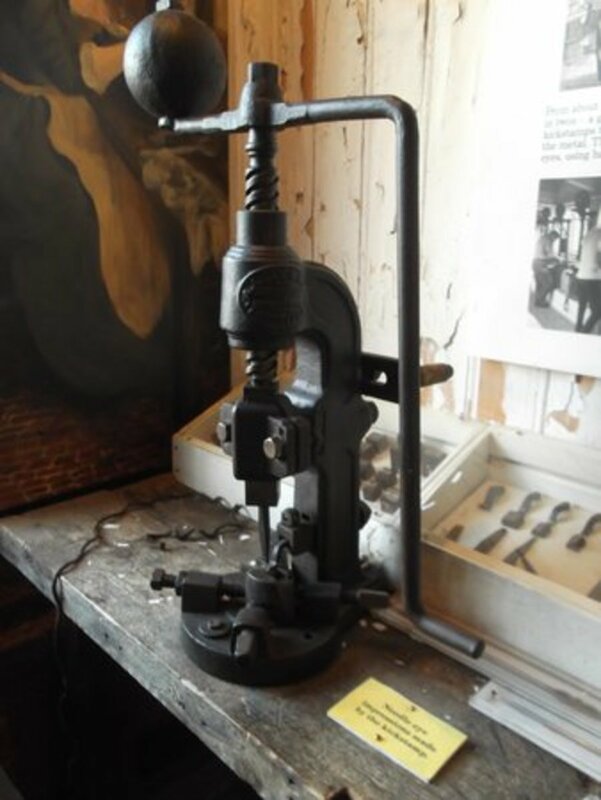 The reason being that they had brought their own machinery to make the needles, which gave the London Needle Makers, well, the needle! (sorry)! The London Needle Makers made a complaint to the Privy Council, and the Lord Mayer and others were sent to investigate. But to no avail. And so Long Crendon's Needle Making was on its way. Long Crendon cottages where my Great Great grandparents and family lived. George Benson was a merchant from London but originated from Thame. In 1611, along with other London Merchants, was given 'Monopoly of Trade' with France. 'Ten poor handicraft men to better set up their trades'. In 1664 the Needlemakers were given their first charter. The trade declined for a while, but soon local craftsmen and women were building new cottages in Long Crendon, in 'Gardens and the corners of Orchards'. This is in the name I was searching for, but I never realised that they were living in Long Crendon for such a long time! So it seems that Great great grandad, and Great-great grandma both came from Long Crendon, and were both in the trade. So in the Stocks they go! Soon the Needlemakers were making more than needles. They were enjoying themselves a little too much by local standards, and soon the rest of the local residents started to complain. It was a hard and dusty job, so it's understandable that they needed time to enjoy themselves, but it seems they went a bit too far!
" some of the needle makers are making merry in the alehouses, so the parish constable had to place them in the stocks, wherein make their feet secure, so that they were booed at by their boon companions"! The Needle makers Cottages and Work Space. 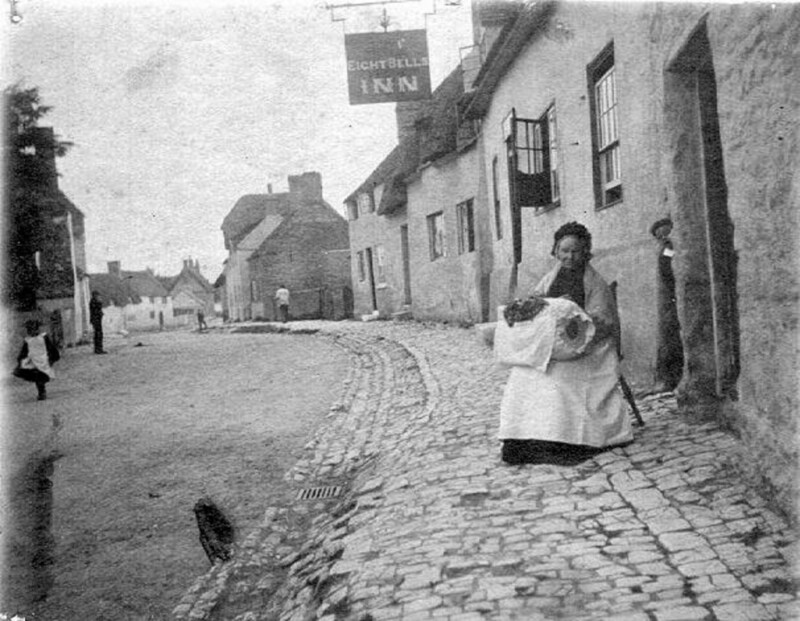 The cottages were mainly on the high street, and you could tell which ones were owned by the needle makers. They had larger windows, and inside the house were 'Needle Cupboards' on the walls. This was where they kept their needles, but its said that in some of the cottages, the cupboards were covering a hole in the wall, so that when someone was working on the needles in their house, they could then reach through and pass the needle to the next person in line who would add the next bit or straighten the needle. The real problem came with the rust that was left over from the needle making. It didn't help that the floors were rough and just made of earth with no floor covering. The walls were plain and 'Wichert' which is a mixture of white chalk and clay, then mixed with straw, then topped with red tiles. This also retained the clouds of red rust and must have made the room seem as though it were filled with red smoke. 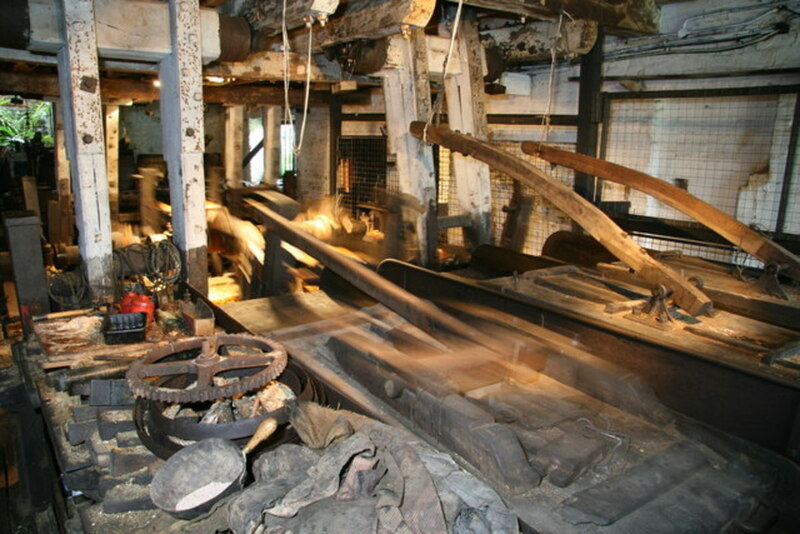 The first steam-powered Scouring Mill. In 1848 Emanuel Shrimpton and Andrew his son installed the first steam-powered scouring Mill at 76 High Street in a shed at the back of the house. Other members of the Shrimpton family also had Steam-powered machines dotted around various locations in Long Crendon. This is taken from 'The Last Needle Workshop in Long Crendon' by David Gilbert. And is the description of the workshop where the machinery was kept. This is concerning the archaeological dig where they found proof of the machinery and workshop. 'The floor was of beaten earth, with a deposit of coal dust, charcoal and ash over, and trampled, into it. On the floor were four iron fixings where the feet of the machines had been kept. 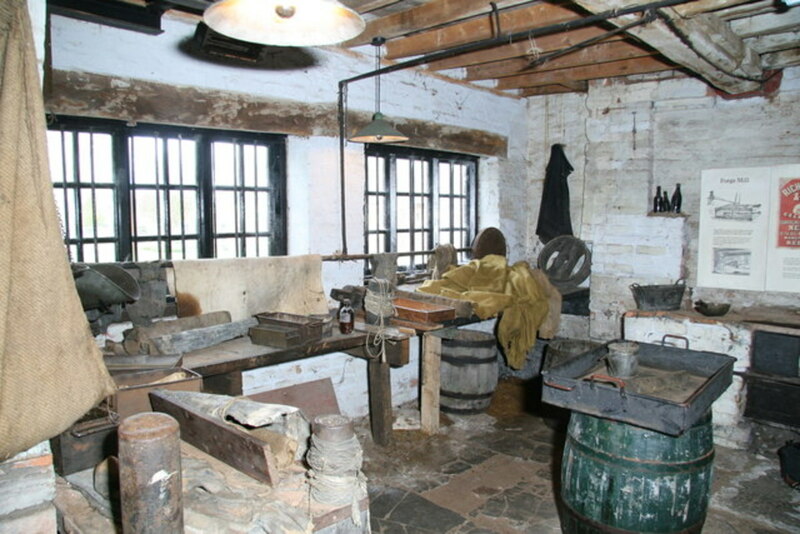 It's not clear exactly what was going on in the rooms, but they believe it was used for the hardening process of the needles or providing heat for the scouring process. 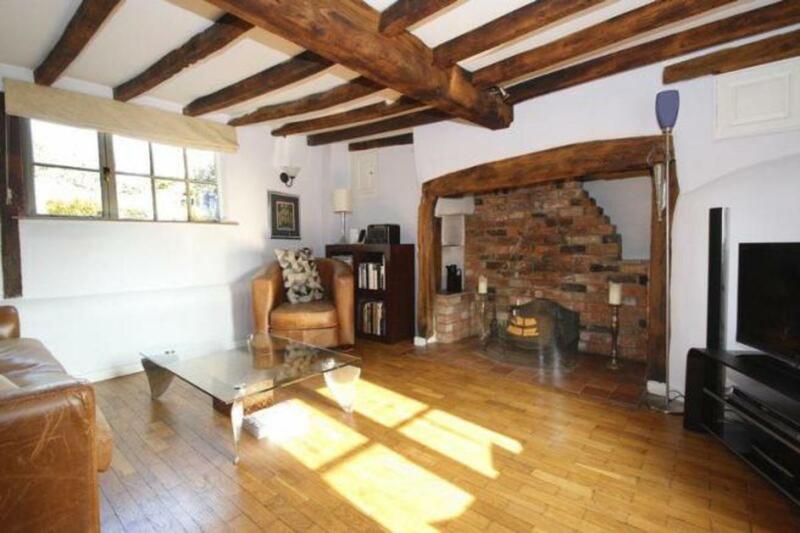 There were two flues that show it was used for burning or heating, and the evidence can still be seen on the floor where there are signs of scorching. Needle making skills and types of needles. The Shrimpton's, my family ancestors, came into the trade in 1735. Rebecca Shrimpton, my ancestor was born in 1822. 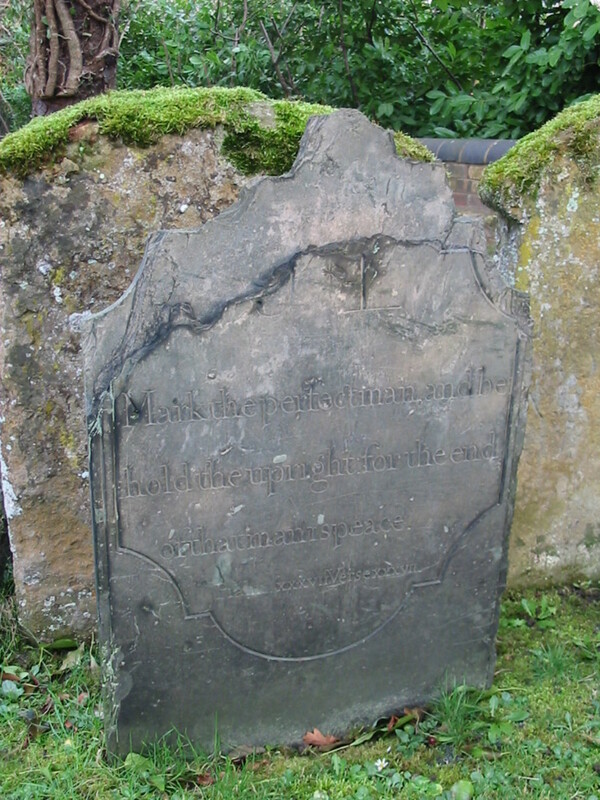 She married Thomas Turner who was born in 1821. But it was John Shrimpton, who was the great great grandson of the first Shrimpton who came to live in the village in 1620 that sold needles to Whitechapel, where they had figured out a way of 'Bluing' the eye of the needle to make it smoother. The needle makers had a variety of skills. There were drawers, cutters, pierces, pointers and polishers. As each of the workers finished their part of the job, the needles were passed through the hole in the wall, to the next door neighbour to carry on working on their part. There was a variety of needles made, and as the years progressed they became more elaborate. To start with, they made Sail and Packing needles. But after a few years, they started making needles for surgeons, needles for harnesses which didn't have a point, and needles for bookbinders, tailors and saddlers. Strange that's another surname of mine. Sadler! And there were needles for straw and felt workers, the glover, and of course embroidery which was very prevalent back then. In fact, most of the housewives who were not working with needles or making them actually did a completely different job to make more money. They were lace makers. And with lace making came the demand for bodkins, sewing machines which soon became the norm in the 18th century, and knitting pins. Of course, it wasn't only in Long Crendon where they were doing the work. 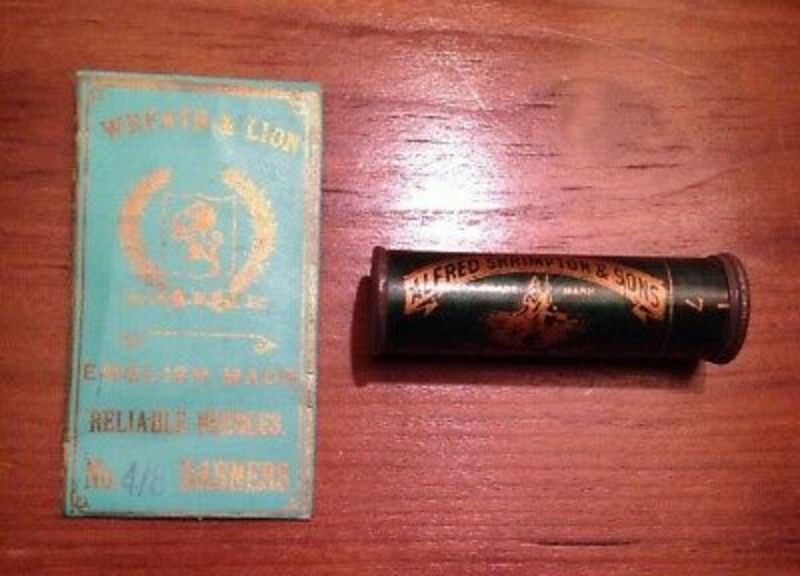 Redditch in Worcestershire also had a trade in needle making. 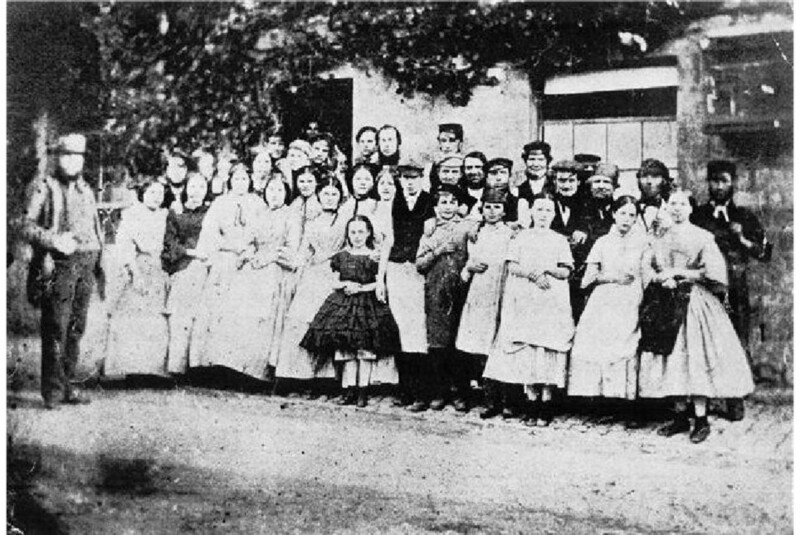 And in the 19th Century when Long Crendon's trade in needles was coming to an end, it passed on to Redditch and other towns. 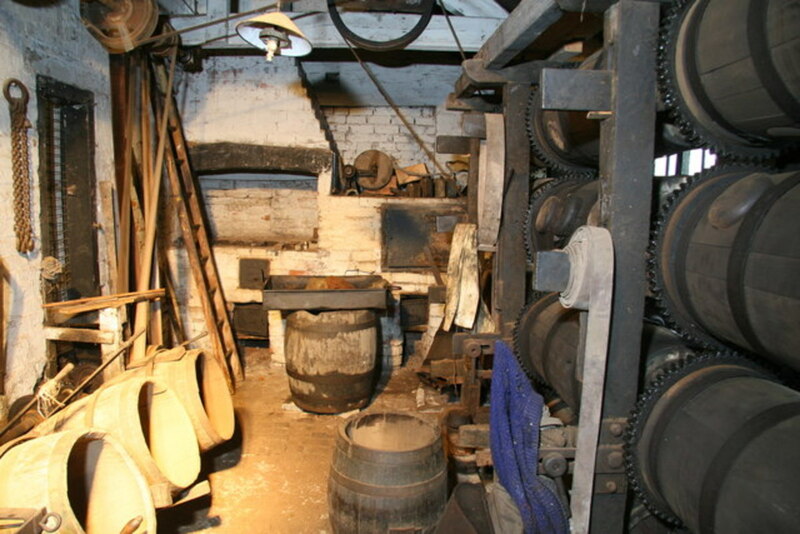 The barrelling shop. this is where the needles were dried. 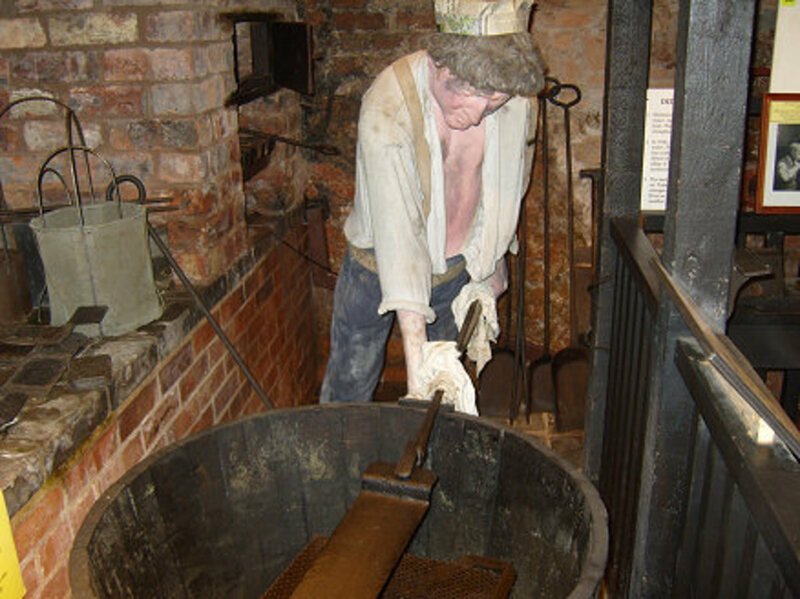 The needles were placed in the barrels with hot sawdust from the stove.The barrels revolved by using the waterwheel. Long Crendon needlemakers! Possibly aunts, uncles or even direct decendant's of mine. Dorcas Ing, Long Crendon Bucks Lace Maker. I believe she was a distant relative. Either through Turner, Shrimpton, Sawyer or Wheeler. Needles, Lace and Farming. Family Connections. My family on my father's side all came from Long Crendon. On my Family Tree I have found Shrimptons, Turners, Wheelers and Sawyers. Looking into their lives I found that most of the men were farmers and the women were lace makers. As the years progressed more and more became needle makers. After the needle making started to decline, much of the work started to be shipped out to Redditch, and a lot of the populace followed. map power where you can find out who married who, and when. I believe it was written by another distant relative, on the Shrimpton side! In my family line, the first Shrimpton was Rebecca b: 1822- 1892. She married Thomas Turner b:1821 - 1891. 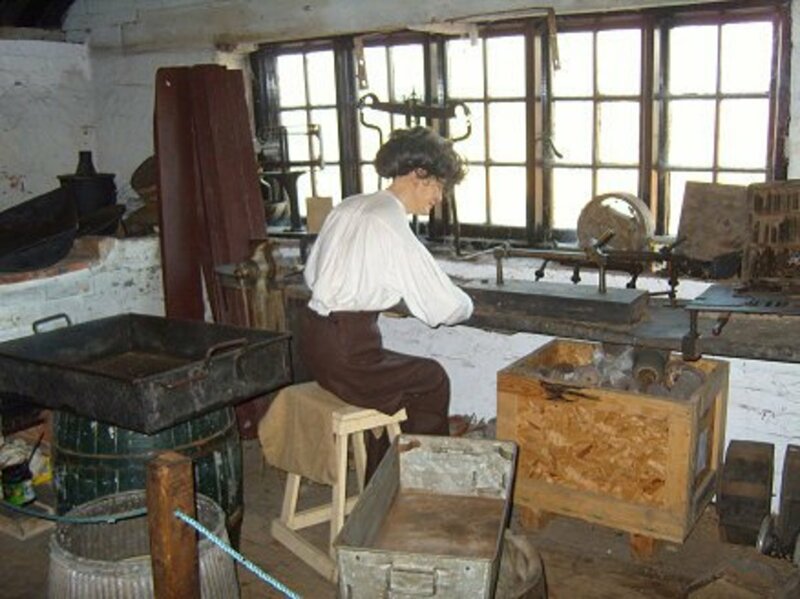 As an example of the needle making process, I have included photos courtesy of Forge Mill Needle Museum. 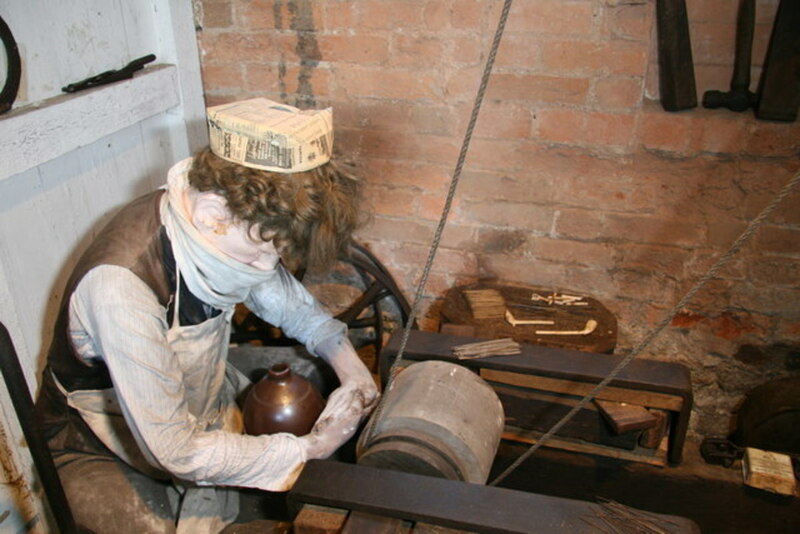 Forge Mill is in Redditch, Worcestershire. (pronounced Wooster). The photos are set in the 19th Century, but the process of making needles was pretty much the same for a couple of hundred years. 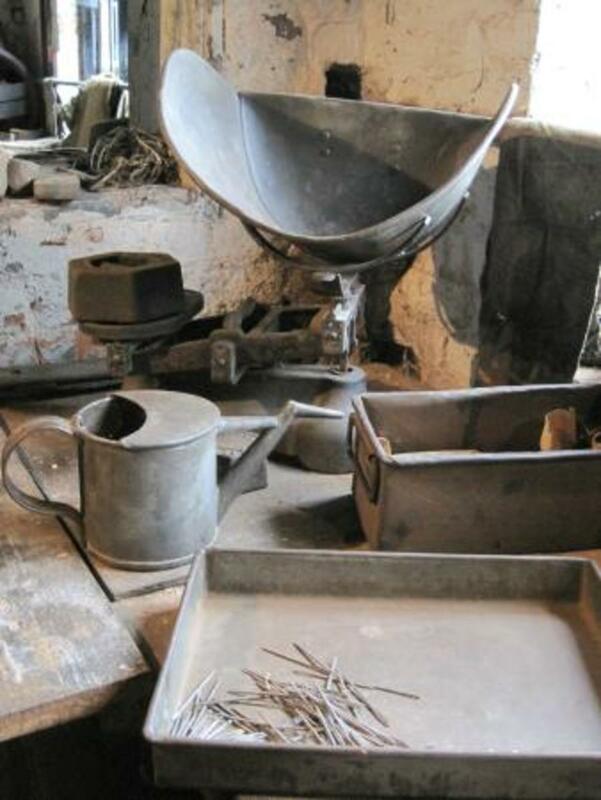 Originally, needles were made by Smiths who forged horseshoes and swords. 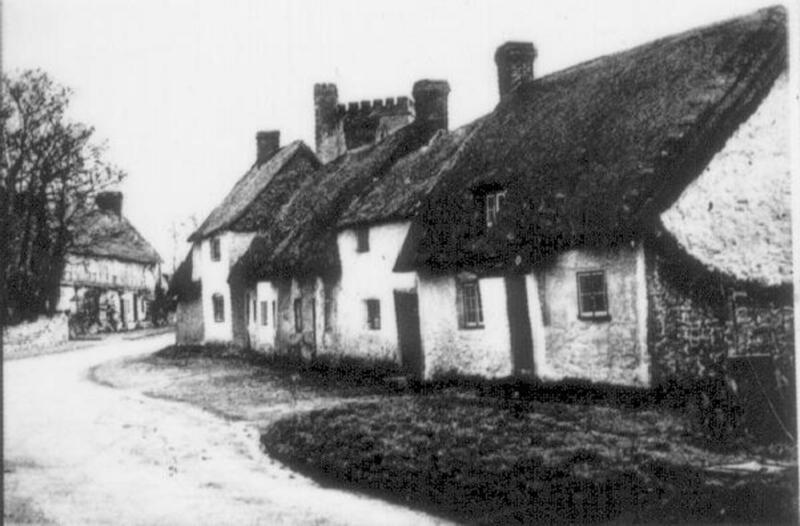 Long Crendon and Redditch both started needle making in the 1600s. Hi John, how amazing! Yes my family lived in Long Crendon, but then all the needle makers moved to Redditch, and my family were Shrimptons too! have enjoyed reading about needle making and the history relating to long crendon, redditch, thames ,My family came from here and settled in NZ one sister Sarah married a Charles Spencer lived at 35 Edwards Street Redditch .Sarah was a younger sister to Jonah and Samuel who came out to NZ . 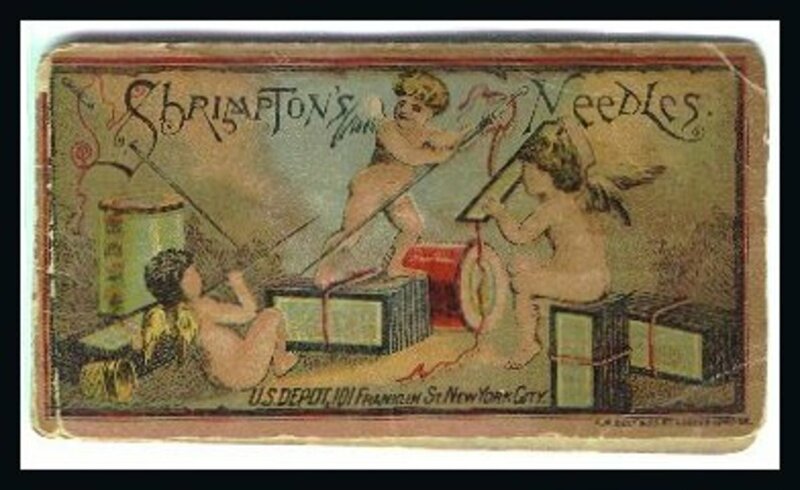 The NZ Shrimpton sent food parcels back at the time of the war and they sent to us Spencer Shrimpton sewing needles . Thanks Peggy, yes they never fail to amaze me! thanks for reading. What a fascinating history you have of your ancestors including what many of them did for a living. I never realized all of the machinery it took to make a needle. Thanks for including all of those photos and information about needle making. Hi Malcolm! Wow! hello cousin! lol! yes its all my family too, along with the Shrimptons, Turners, Sawyers and Mundays which I believe are something to do with the Ings! not sure of the connection. I was really lucky as one of the people who work at the Redditch Museum sent me a whole list and story of how the people moved from Long Crendon to Redditch. Some of my relatives went there, but most stayed in Crendon. the Turners and Sawyers then moved to Marlow where I live now. I am on facebook under the name nell rose, and belong to the geneaology site there too if you would like to take a look. thanks so much for reading, and great to meet you! 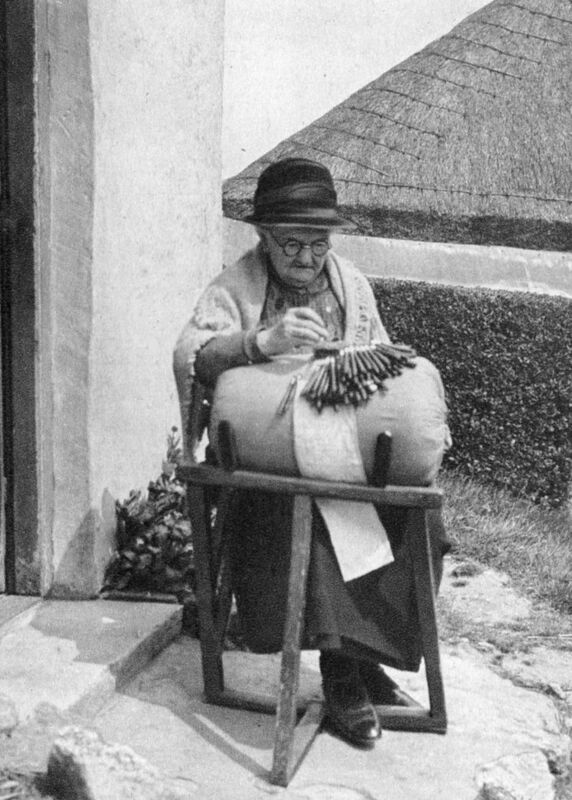 Really enjoyed reading through the history of the needle and lacemaking. Then I spotted my Great Grandmother Dorcas Ing who was a prolific lace maker in her time. 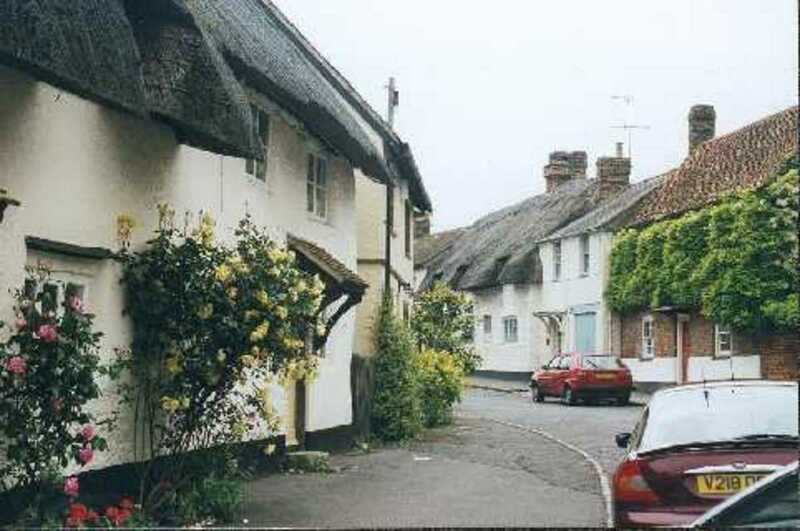 We are just trying to move back to Long Crendon where my relations have lived for some 350 years so lots of history. Hi Nell this is informative and interesting. I have visited around Croatia and seen the traditional sewing machines and the history of old-styled equipment is amazing and got me thinking of how people really lived centuries ago. Such a fabulous article!! I love needlework and linens and collect them--this just made me smile! Thanks Dianna, yes they had the patience and the skills back then, they were amazing! I don't think I would have the patience! lol! thanks, and have a wonderful Christmas! You certainly wrote this well and I found it a great read on your family history. People were much more resilient back then, don't you think? Have a very Merry Christmas, Nell! Great hub, interesting and informative. It must be great to find so much information about your ancestors who were great people in the lace and needle industries. The pictures give an idea of how times were those days. Enjoyed reading and voted up. Nell, you write the most interesting articles. I'm not sure I'd have the strength and stamina to live in those times; they were our heroes and heroines, in so many ways. Your photos are stunning and take us there, back in time. Absolutely fascinating. I love the pictures and the look into the past. What interesting ancestors you have. This is pretty cool. Wouldn't it be interesting if we could go back in time, just to see the entire process and learn how it was all actually done? Keep up the great work. Excellent and well researched hub! You made the story of needles so interesting and I have not read something like this before. How exciting for you that it is in your family! The pictures create nostalgia , illustrating period clothes, old streets that convey a lot about life in those times. Thanks for this very interesting and entertaining article. It is so interesting to read your family history as well as the history of needle making. This was a very interesting article Nell. I didn't know anything about needle making...now i do. It is amazing what looking into your genealogy can reveal. It is interesting to note the names of your ancestors: Turners, Wheelers, Sadlers and Sawyers. They are all the name of professions. I suppose that is how surnames originally came about. Thanks for sharing. Nell, how fascinating! Those needle makers were certainly very hard-working folks. It must be fun to retrace your family roots; and you can be very proud of these ancestors. I love the photos you included! Thanks Martie, yes its a ball! lol! so far its great finding my great greats, never knew I had such interesting ancestors! LOL! This is so interesting, Nell. I never even thought about how needles are made. We take so many things for granted in today's modern world. I'm thoroughly enjoying the details of your family history. I look forward to learning more! Hi, Nell. This was absolutely, positively fascinating. Can't believe I've lived this long without knowing about those talented needle makers and the existence of Long Crendon. Thanks for enhancing my knowledge with this enchanting hub. Hi agusfanan, thanks so much, yes its fascinating isn't it? hope you are well, and thanks! Wow it is very interesting to read your family history as well as the history of needle making. There were many things I didn't know including those steps in needle making and the photos are wonderful too. This was interesting Nell. Funny how time changes things. I wonder what they would think about our world today? The old pictures were really good. Loved this hub, Nell, and your family history is really interesting. I truly enjoyed this wonderful glimpse at days gone by....especially the old photos. Thanks for another engaging read. Hi Jackie, yes we are having a weird winter! its over 60 degrees! I can sit outside with a glass of wine! lol! no cold weather at all this year! And yes its amazing what we find in our family history isn't it? lol! What an interesting family history about needlemaking. I also didn't know the meaning of "smith." It's such a common last name. Digging up the past is such an interesting pastime. There is often much stranger truth in the hardship endured than we could possibly make up. My father is our family historian, even looking up my husband's people on my husband's mother's side. He has come up with some dramatic tales -- news articles and other evidence that make us glad we live in the here and now. Nell, your articles always wow me. To think that you have discovered so much about your own history; that is amazing. Now, you really know who you are. Congratulations on such detailed research--and so interesting! What a great job you did on this; just enjoyed it so much! I have always had a sort of fascination with needles. There are so many kinds and I have many; especially the more delicate ones. Perhaps I was a needle maker in a past life! That would explain it. Guess you are in winter there now, huh? We are here too and I am not loving it too much; especially nights! Brrrr. What an interesting and varied family history you have. I enjoyed reading this. 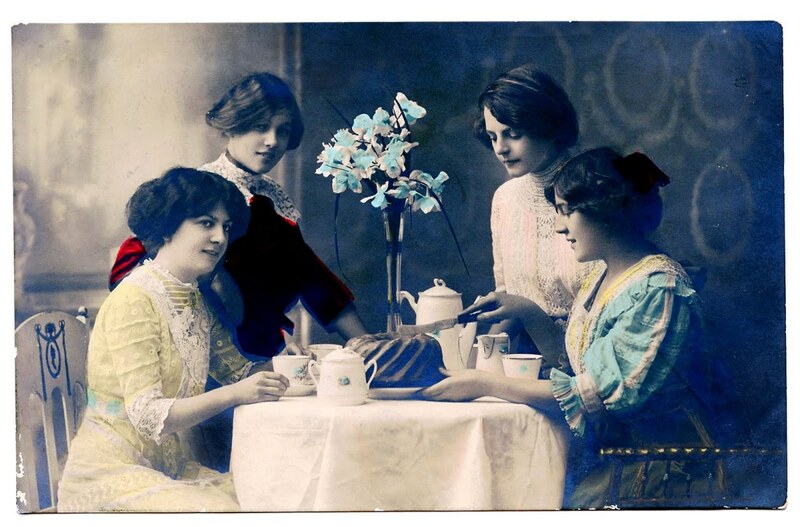 My great-aunts in Italy did the lace making like the photos shown here with the big pillow and the threads tied to the holders and then crossed over one another again and again. I have seen this done in Isernia, Italy. How fascinating Nell. Keep reporting on your family! I have gone back to the 1300's on the Italian side. On the German/British side, I run into a road block around the time of the American Revolution. Can't get any farther back than that. Thanks aesta, its something I would never have thought of before! lol! Thanks so much Ann! its new to me too and totally interesting, I love history so you can imagine! lol! the funny thing is I never thought I would love knowing about needles either! Thanks for telling us all about these needle makers. It is so fascinating to see how many skills are needed to make thee needles. Nell, how wonderful to have all that knowledge of history. Thank you for sharing this with your followers/readers. This is a superb article, Nell! Whoever would've thought that needles could be so interesting. How exciting for you that it's in your family! Your pictures are great and so interesting. I love looking at period clothes, old streets and imagining what life must have been like then. Not surprised they liked to enjoy themselves! This article is unique; never read anything about needles before. Delving into family history is great in itself but when you unearth things like this, it's doubly rewarding. Well done, Nell! Thanks for an entertaining read.